Zoey needs a caring friend to hang out with for March Break!Zoey needs a caring friend to hang out with for March Break!Zoey needs a caring friend to hang out with for March Break!Zoey needs a caring friend to hang out with for March Break! Nice to meet you! My name is Doris. We are interested in finding pet care in Gravenhurst for my prized pets. Excited to talk to you soon.Nice to meet you! My name is Doris. We are interested in finding pet care in Gravenhurst for my prized pets. Excited to talk to you soon.Nice to meet you! My name is Doris. We are interested in finding pet care in Gravenhurst for my prized pets. Excited to talk to you soon. 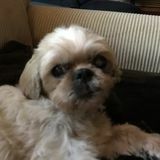 I am looking for overnight care for my shihtzu.I am looking for overnight care for my shihtzu.I am looking for overnight care for my shihtzu.I am looking for overnight care for my shihtzu. Pet sitting on gravenhurst area while I'm at work. From Monday to Saturday starting September. He's super cute.Pet sitting on gravenhurst area while I'm at work. From Monday to Saturday starting September. He's super cute.Pet sitting on gravenhurst area while I'm at work. From Monday to Saturday starting September. He's super cute. At PetSitter.com our goal is to connect job seekers to our community of pet owners in Gravenhurst, Ontario looking for pet sitting services. Our job board gives you instant access to the largest database of local pet sitting jobs available in North America.